Exclusive promotions from partners to ThemeXpert subscribers. Happy Thanksgiving to all our friends around Joomla community. You know, our ThemeXpert team is forerunner in celebrating festival at ThemeXpert HQ. No different on Black Friday & Cyber Monday. Our whole team have been working hard to join the madness. As usual we haven't forget you on this Thanksgiving celebration. Don’t miss to fill your Joomla toolbox with our product. Enjoy 30% discount on all our single template subscribe and club membership as well. Want to join our template club ? Now the best time to gain access to all our 54 Joomla template, For your convenience, I have mention bellow all club membership price after discount. This special discount on our products is valid until Tuesday 2 December. Use the coupon code: XPERTFRIDAY while checkout. Here is our partners who are also providing discount on their product for you. Enjoy 20% discount on all TechJoomla paid products and additional 10% off on their bundle purchase. Add social networking to an Internet learning system and you’ll have created a complete online university with all of the sharing, chatting and social benefits of a real college campus. That’s why we developed EduXpert, a Joomla education template that integrates both iJoomla’s Guru and JomSocial — and makes them look and feel even more fantastic and fun than ever. EduXpert provides entire eLearning opportunities in a single platform. With tight integration of Guru LMS right out of the box, you can easily deploy your unlimited online courses, add media, set exams, offer certification, and earn money from home. EduXpert is a complete online university. You get to provide all of the features of an online learning management system and deliver social networking between teachers and students. EduXpert and JomSocial will take your creativity to the next level. Guru is the heart and soul of EduXpert and Jomsocial bring community falvour on it. Combined together you can create a powerful LMS site. Just use the following promo code on the sign-up page. They are the only ones who offer a 200% money back guarantee on every product. This means that if youíre not happy with it, you get your money back and you also get to keep the product. guarantee on every product. This means that if youíre not happy with it, you get your money back and you also get to keep the product. 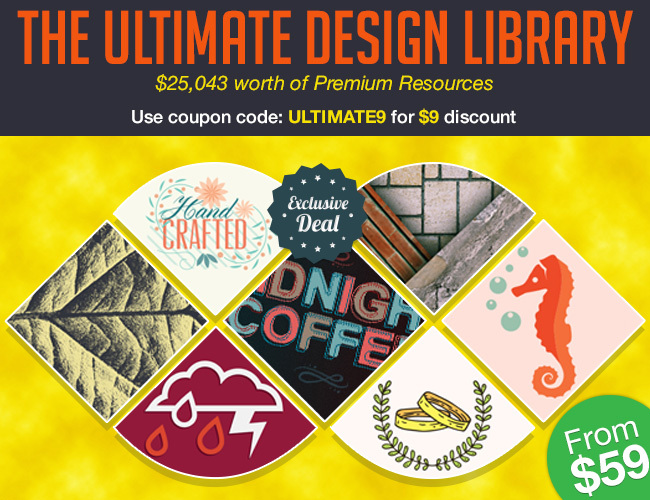 Inky Deals came up with a ginormous bundle, The Ultimate Design Library: $25,088 worth of Premium RF Resources - From $59 and because they are our friends, you can grab it with an exclusive $9 discount coupon! Use the code: ULTIMATE9 at checkout. ThemeXpert Black Friday Deal Is Here! As most of you know what the Black Friday is I want to keep the post short and simple. We are going to offer our most exciting deal of this year. Save up to 50% off on all membership plans from now. Use coupon BFBASIC15 to get 15% off on Basic membership. Use coupon BFSTANDARD30 to get 30% off on Standard membership. Use coupon BFPRO50 to get 50% off on Pro membership. This offers are valid until 30th Nov 2013, so grab it before expire! Disclaimer: We tested there hosting ourself before writing this post and our Demo site is running on Arvixe server. We’re pleased to announce our exclusive partnership with web hosting company, Arvixe. Arvixe has been kind enough to offer all ThemeXpert readers and subscribers a 20% discount for life on a PersonalClass shared web hosting plan. All you have to do is use the coupon ‘themexpert20’ during the checkout process! Whether you’re a new ThemeXpert subscriber or thinking about starting a Joomla website then this is a great offer you won’t want to miss out on. Shared hosting plans for ThemeXpert readers and subscribers start as low as $3.20 per month (the lowest in the industry!) when you use the ‘themexpert20’ coupon. Arvixe offers affordable prices and many features that many hosting companies do not. For example, during checkout Arvixe offers a feature where you have the ability to choose the location of your server for your account. This new feature currently has two options available to choose from—the United States or Europe. You also have the ability to choose Joomla or over 200+ other CMSs, Scripts and Software pre-loaded onto your new web hosting account. You don’t have to manually install or go through any “1-click installation” because the Arvixe team will do all of the work for you. Not all web hosting companies can boast a 10 year track record like Arvixe. Over the years Arvixe has won many industry awards from accredited magazines, websites, and other media outlets. These awards consist of being one of the fastest growing companies two years in a row by Inc. Magazine, voted as a top 10 affordable host, and received multiple Readers’ Choice Awards by HostReview. Try Arvixe today! You won’t regret your decision. Check out the Arvixe’s up-to-date survey results at https://www.arvixe.com/survey/results/ to see feedback on their services. Thousands of bloggers, business owners, developers, and communities trust and depend on Arvixe. Go see why they choose Arvixe month after month. Grab yourself a shared hosting plan pre-loaded with Joomla for as low as $3.20/mo. We’re proud to support and stand behind Arvixe and say that your satisfaction will be guaranteed. Happy Halloween guys and its treats time again! We'd like to horrify you with our treats and treats from your partners. From today till November 5th, enjoy 20% DISCOUNT on all our membership and get in touch with Xpert Support. The Rocking Joomla Bundle - Save 85%! Its celebrating time again in ThemeXpert with Rocking Joomla Bundle! Get the uber cool Joomla! Templates and Extension with $97 worth of $665! In this bundle, you get access to 2 of ThemeXpert’s latest templates. Infinity and Sanity. Infinity: Infinity is an optimized and streamlined theme and serves as a blueprint to build your own custom themes. It offers 4 different theme styles to get you started right away. Every bit of code is well documented and least amount of files are added to make your customization faster. Sanity: Sanity is an ideal choice for business or corporate website. It brings you a clean layout with a broad range of options for customization. You can choose from various color backgrounds, patterns and is fully customizable from the backend. What you get: Sanity and Infinity for Joomla 2.5. Please note that you don’t get any updates or support with these templates. Trainer and consultant Laura Gordon teaches you everything you need to know to build a site with Joomla!, from installing the software, to adding and editing content, to working with components, modules, menus, and templates. You’ll learn how to create articles and categories; customize the appearance of text, images, and links; and maintain and update the site once you’ve built it — all without having to rely on outside experts! What you get: 7 day access to both of Laura Gordan’s courses on Video2Brain. CloudAccess is a premium hosting provider for Joomla. With their Platform-as-a-Service, you get - hosting on premium equipment, managed backups, Joomla! phone support, email, and lots more. Free site Imports - with go live support. iJoomla sidebar makes your Joomla site sticky. Want to make your article pages more exciting? Want to pack more information into a single page? Place ads? Videos? RSS feeds? Or tease readers towards another article? SideBars are the perfect solution... and with the iJoomla SideBars Extension for Joomla, they're now a breeze to use. What you get: You get the latest version of Sidebar; please note that you only get the download and no updates and support. EasyBlog: Start blogging professionally with this out-of-the-box solution without breaking a sweat. EasyBlog is the top-rated blogging component for Joomla! It works seamlessly with wide range of other Joomla! extensions and integrates with many social media addons. Learn more about EasyBlog. EasyDiscuss: EasyDiscuss is a multi-purpose conversation tool. Use EasyDiscuss for Q&A like StackOverflow, user voice, or simply a modernized discussion forum. Learn more about EasyDiscuss. Komento: A powerful and advanced comment extension for Joomla to manage user comments in articles, blogs and more. Learn more about Komento. What you get: You get the latest version of EasyBlog, EasyDiscuss and Komento; please note that you only get the download and no updates and support. Pull activities &updates from supported Social Networks to your site. Import RSS Content Feeds into your site's Activity stream. Users can use Broadcast to update all their Social Statuses from one place - your site ! Users can connect their Social Accounts to Broadcast & all their activity on Major networks can be synced to your site & all your activity can be synced to the networks. What you get: You get the latest version of Broadcast for download. Please note that you don’t get any updates or support with this. What you get: 3 months access to Joobi Power Pack (which includes all the 12 Joobi eCommerce products). ALL this for only $97? Wow! After the payment you will get an email contain download link. Note: We do not offer refunds for this bundle, all payments are final. ThemeXpert brings 15% OFF discount on all Fastw3b products! As always we try to bring something awesome, something good to our community and today we are excited to announce the beginning of the joint promotion of ThemeXpert & Fastw3b. From today and till June, 1st, every customer subscribed to any of the plans from ThemeXpert get 15% OFF coupon on all Fastw3b products. Just take a quick look at Fastw3b Extensions and do not miss out this great deal! This special offer is valid till June, 1st. Fastw3b created in 2005 is an expert in developing Joomla real estate and photo gallery extensions. FW Real Estate is in top five components on JED and has a great choice of add-ons and templates. FW Gallery is distinguished with Popular mark on JED and has already more than 10,000 users! It's 'All Treats and absolutely no Tricks' at 'ThemeXpert' this week during our BIG Halloween Sale, going on from now through 3rd November. Select any membership and use this promocode at our checkout page to get your 25% discount: scary25. But hurry, this Halloween Sale ends promptly at the witching hour (12 am), Thursday November 3rd, so please don't delay! Enjoy Discount For Top Joomla Extension! Create your own social network. Now everyone can create a thriving, unique and interactive Joomla! community... effortlessly! 'corePHP' a web development firm, located in Battle Creek MI, is your resource for open source extensions for Joomla! development, templates, components & plugins. Check out some of their enterprise solution products to help your Joomla site today! StackIdeas is a professional Joomla component developer that brought us the popular Joomla blog component EasyBlog. The team believes in making things easy to work for both professional and novice Joomla users. The Helpdesk Component is an advanced support system, which is also known as Customer Service or Customer Support Software. With this effective and efficient solution you will be able to implement, manage and create a flexible customer support solution, efficient for both customers and support staff. All in your Joomla! website without extra systems involved to make management harder. Award winning professional joomla extension developer, take your site to next level with iJoomla extensions.